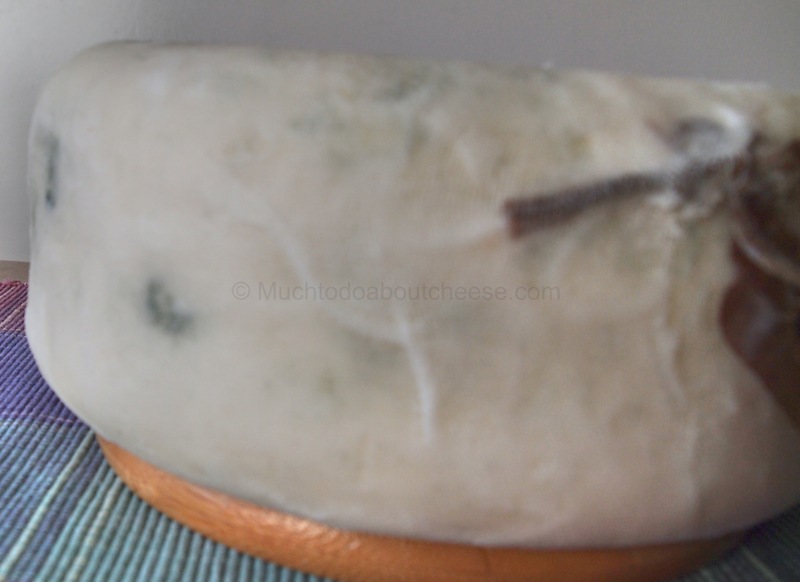 The Clothbound Cheddar I made at the beginning of February is now into its third week of aging and with a few tweaks the flora on the bandages has really started to take off, so to quote Doctor Fankenstein “It’s Alive”. There is more growth than in week 2, but that is what I had hoped for. If you get the right angle you can see some brown,pink and green on the top. But that’s not all folks….. 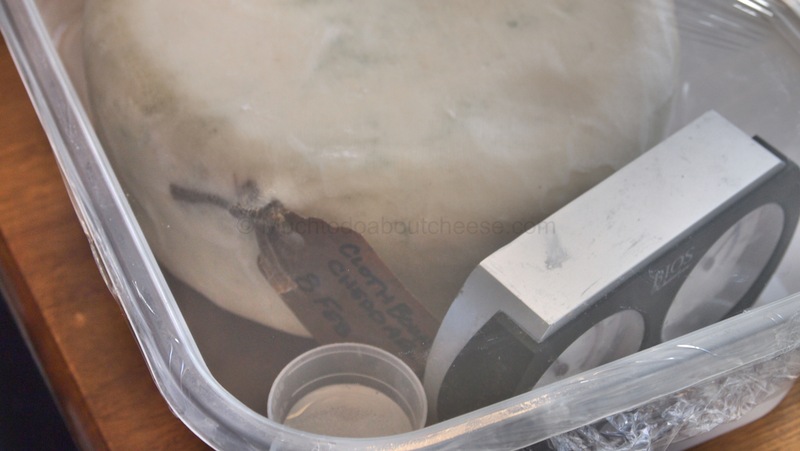 The major tweak that I implemented was putting the cheese in a ripening box to keep up the humidity. Right now I can only keep the mini cave between 65 and 75 % RH. With the box I can get it between 80 and 90 %. 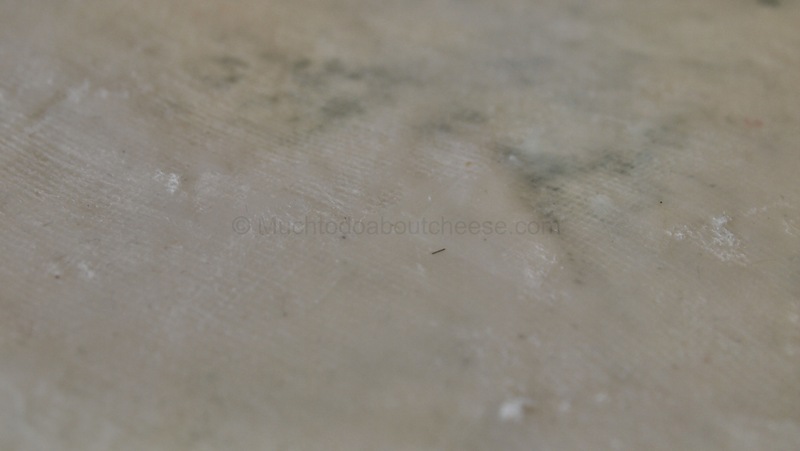 Here is the “bottom” of the cheese, you can see that there is growth on it too. This is showing that the flora is alive and the increase in humidity is helping. 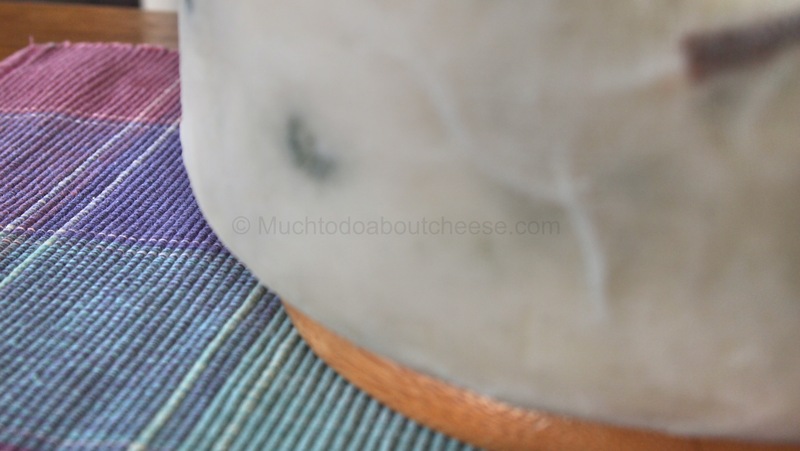 On the “Top” of the cheese there is mould where there wasn’t last week. 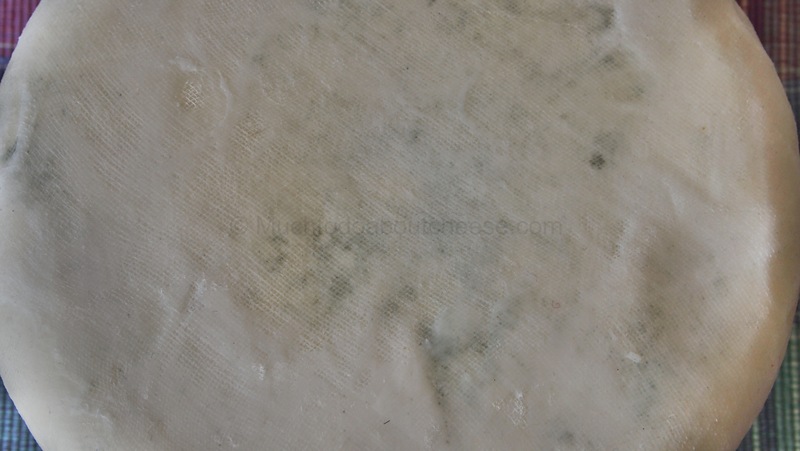 There is more mould spreading on the top. I think in another month I might have full coverage. 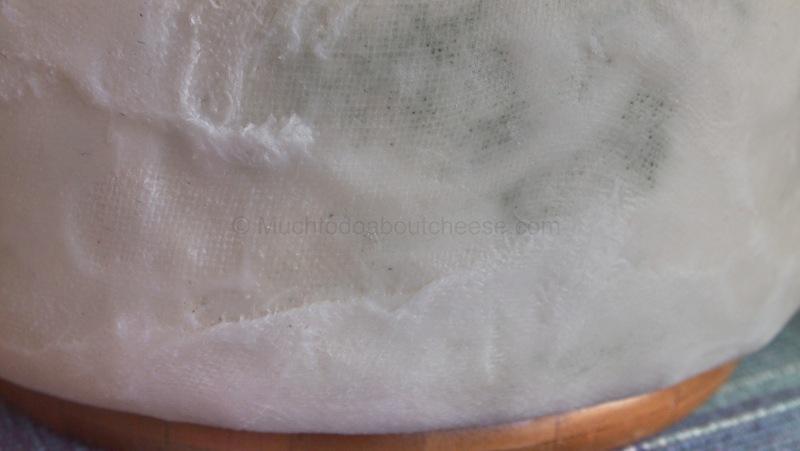 Every day when I flip the cheese, I still have to fight the urge to clean the cloth. It get less and less each time. 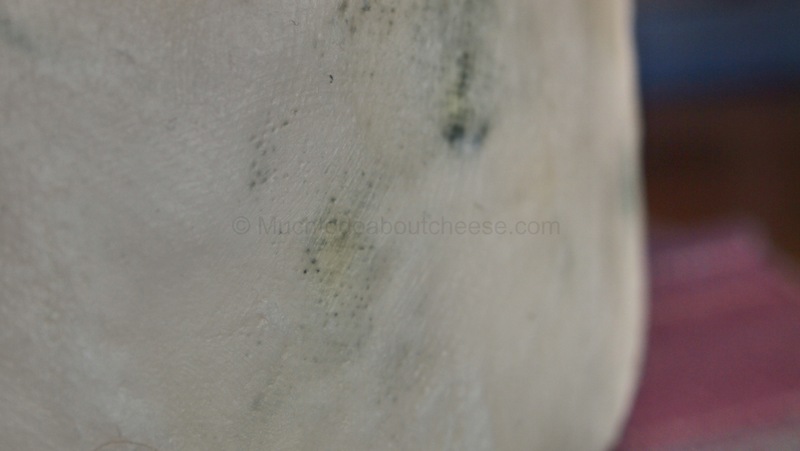 I had a friend ask if I am encouraging the mould growth, why do I wash my hands before I handle the cheese? My answer was “I don’t know where my hands have been”, the look on his face was priceless. 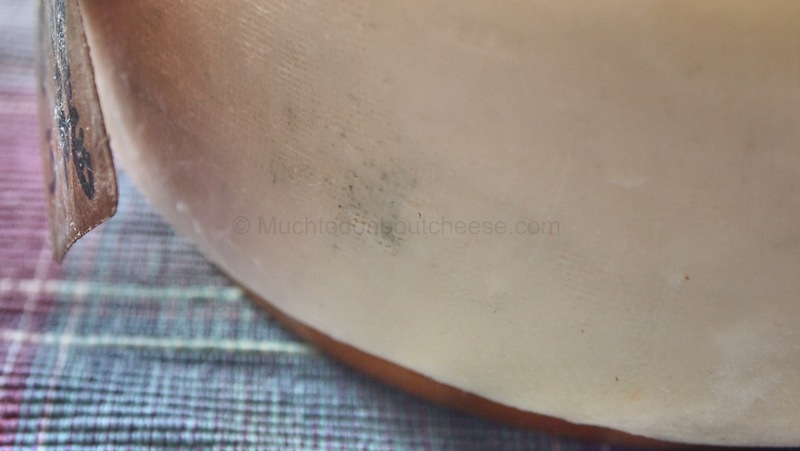 There is flora everywhere on the cheese. I love the contrasting colours, the green on the white of the bandages. I am fascinated by the different colours of the flora, this probably means different strains. 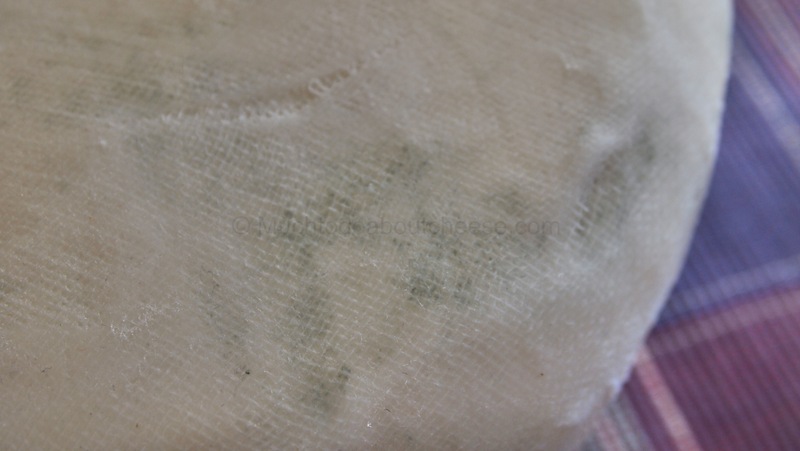 I think I have taken a picture of the start of another growth patch. Time will tell. Now securely back in the ripening box it is time to go back to the “cave” for more aging. 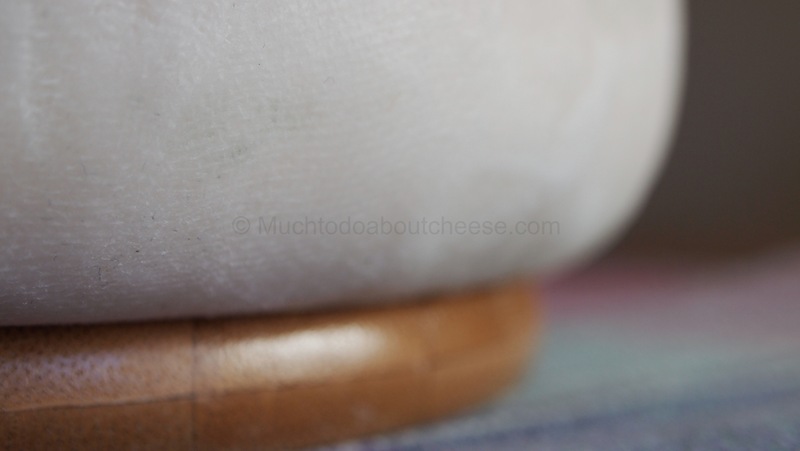 Once the cheese is fully covered, I will cut the updates to once every two weeks, unless people want me to keep it as a weekly feature. As always there will be pictures up on the Facebook Page later in the week. In the next few week I should have a few announcements and hopefully some pictures from some of the classes that I am teaching. 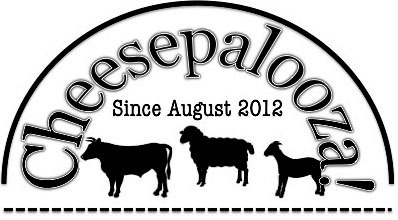 Until next time, go and make some cheese! 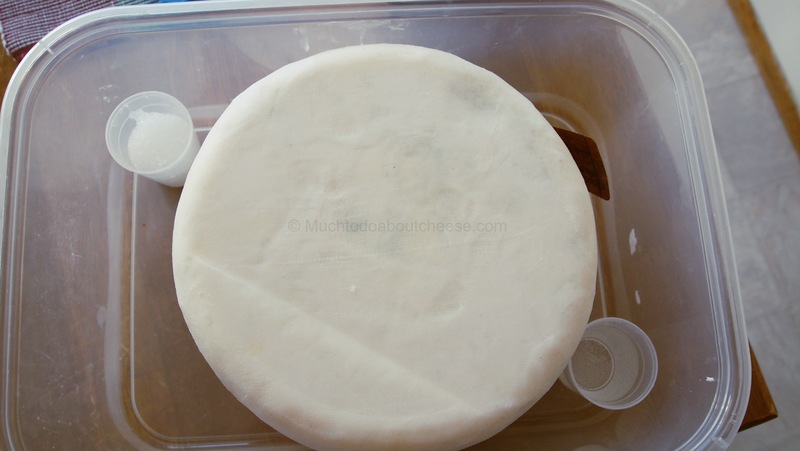 ← Third Cheese Making Class added at Metro Continuing Education in Edmonton. 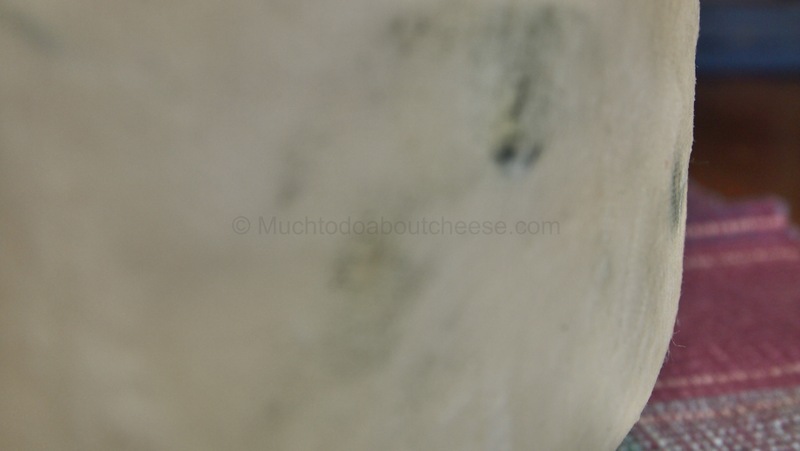 Love the analogy of cheese-making with horror movies! I’m sure yours is not at all scary though.